Why does Virginia have a ‘car tax’? The bills are due each year on Oct. 5 or the following business day if Oct. 5 falls on a weekend or holiday. But why does Virginia have an annual “car tax” that many other states do not? WASHINGTON — For many longtime and first-time Virginia residents, a vexing question weighs on their minds: Why does Virginia have an annual “car tax” that many other states do not? Bills in most Northern Virginia jurisdictions are due Oct. 5 for the tax, formally called the tangible personal property tax, which actually dates back to at least 1782, according to the Library of Virginia. That year, Virginia’s General Assembly overhauled the state’s tax laws to include taxes on some personal property along with real estate in order to establish consistent and stable funding for the state’s government. By 1810, the tax bills had shifted from being reported in pounds, shillings and pence to dollars and cents. In 1815, the tax expanded for one year to include a variety of furniture, curtains, mirrors, paintings and icehouses to help cover costs from the War of 1812. In recent decades, most people have only had to pay the personal property tax bills on vehicles or, in certain areas, mobile homes that they own or lease, which led to the colloquial reference to the tax as the “car tax” to separate it from the real estate property taxes paid to local governments. For leased vehicles, the car still must be registered with the city or county. The lease may include the payment or it can be added as a separate fee. There have been several efforts to repeal or replace the tax, including by former Gov. Jim Gilmore, who won the 1997 election thanks in part to a promise to end the tax. Instead, the state initially promised to phase in state payments to local governments to replace the car tax on vehicles worth less than $20,000. Eventually, the state ended up paying flat rates to local governments that today lower bills somewhat for those cars based on the car’s value and which city or county the car is taxed in. 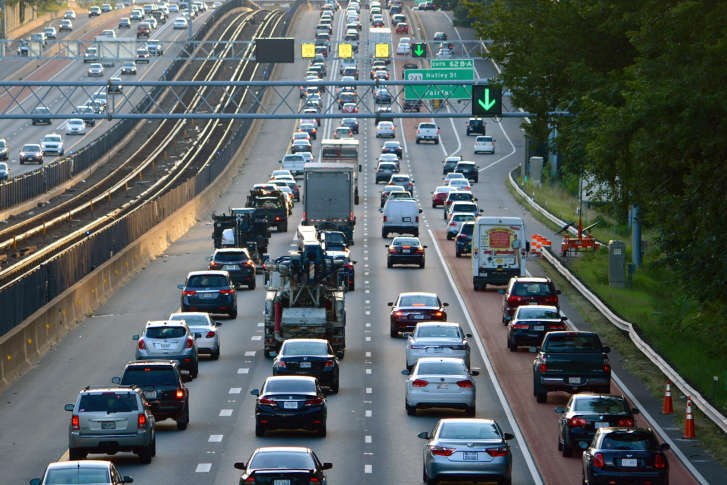 State Sen. Chap Petersen, D-Fairfax, introduced bills to end the car tax again more recently, but the bills failed to pass largely due to the hole that would leave in local budgets without additional state funding to localities or some other type of tax. The Department of Legislative Services told his office that local governments have had the authority to tax cars based on their value since 1926, and that the state government had taxed car owners before that. Horses and wagons were also once taxed along with other property and even people, who were then treated as property — slaves. Today, the bill depends on where the car is normally parked and the car’s value on Jan. 1. A car qualifies to be taxed if it is regularly parked in a jurisdiction and/or is registered to an address in that city or county, which has led some people to illegally attempt to avoid the tax by keeping their cars registered in other states. It is also important for people moving out of a Virginia locality to notify the city or county that they should no longer be taxed. Each county or city sets its own rate for personal property taxes. For example, in Fairfax County, the current rate is $4.57 per $100 of assessed value, while in Prince William County, the car tax rate is $3.70 per $100. There can also be additional local registration fees that add to the more than $3 billion in tangible personal property taxes collected by Virginia localities in fiscal year 2016, the latest year with statewide data available through the Department of Taxation. Virginia jurisdictions generally use the National Automobile Dealers Association Official Used Car Guide’s clean trade-in value as the basis for the bill for older cars or the suggested retail price for new cars. Owners can challenge that value based on the number of miles on the car or other issues but should pay the full bill if the deadline is nearing to avoid any additional penalties. Other penalties can apply, for example, due to a failure to register the vehicle with the city or county within 60 days (registration with the Department of Motor Vehicles is a separate process). There are exemptions in some cases for people who qualify for particular tax relief, certain active duty military members and others. The state constitution grants exemptions to government vehicles and for churches, and allows local governments to provide tax exemptions to people 65 years old or older. Local governments are also allowed to exempt ATVs, mopeds and off-road motorcycles, an exemption Loudoun County implemented in 2013. Other local tax rates apply as part of the tangible personal property tax to planes and certain other property. Businesses also pay personal property taxes in certain cases that go beyond vehicles to include equipment, some furniture and tools. The property taxes are separate from the sales taxes on cars and other purchases. The bills are due each year on Oct. 5 or the following business day if Oct. 5 falls on a weekend or holiday. The taxes, appeals and other issues are all handled by local government. Maryland and D.C. do not have personal property taxes on personal vehicles, but do have business personal property taxes. Twenty-four states and the District effectively have no car tax, according to WalletHub. The states with no car tax include Florida, Georgia, New York, New Jersey, Pennsylvania, Delaware, Ohio, Illinois, Texas, Oklahoma, Washington and Oregon. Even with Virginia’s “car tax,” the state has a relatively low overall tax burden, according to most rankings.